National Talent Search Scheme started in the year 1963. The purpose of the scheme is to identify talented students and nurture them. This year NCERT is conducting National Talent Search Examination for students studying in Class X. Candidates can check the complete information of Maharashtra NTSE 2018 for class X Question Paper, Answer Key, Result, Cut Off, application process, eligibility criteria, and other information through this page below. Latest: NTSE exam final result have been revised. Scroll down to check the same. The NTSE 2018 Exam is going to be as per scheduled date. Candidates can check the Question paper, Answer key, Solutions, Results and Cut off from below. The Result of National Talent Search Examination 2018 has been declared after the successful completion of the examination. Results of National Talent Search Examination NTSE 2018 is also given below. You can check the result here or on the official website. Click here to check the revised NTSE Exam final Results. Click here to check Press Note regarding NTSE result. Click here to check NTSE Exam Results. Click here to check the Selected list of General Category (Cut Off 174.28). Click here to check the Selected list of OBC Category (Cut Off 167.96). Click here to check the Selected List of SC Category (Cut Off 154.61). Click here to check the Selected List of ST Category (Cut Off 141.89). 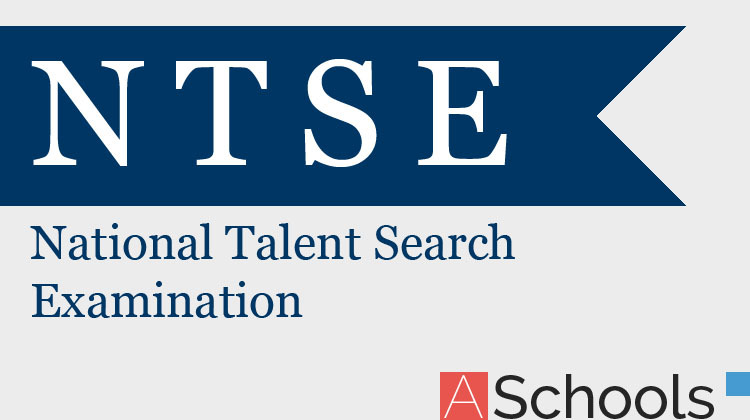 The Unofficial and Official Answer key for the National Talent Search Exam (NTSE) has been released by the Aakash and ALLEN Institutes and the official conducting body. It is uploaded after the successful completion of NTSE 2018 Examination. On the basis of NTSE 2018 Answer Key, the result will be available as per schedule. Candidates are able to check the Unofficial Answer key from the direct link provided below. Click here to check the final answer key for NTS Exam 2018-19. Application Forms is available online at the official website. Before filling the application form, candidates must ensure their eligibility. Candidates who have registered on or before the last date of registration can now apply for a particular exam. To do so candidates have to fill up the application form which will be available on a particular date and the last date to apply for the same is September 15, 2018. Candidates are given leniency to submit the form late, but with a late fee. For details on how to fill the Application Form, Click Here. Maharashtra NTSE 2018 Admit Card will be released on the official website. If the Authenticated Admit card is lost, a duplicate Authenticated Admit Card will not be issued. It should be retained till the admission process is over. Candidates can download it from the official website or through the direct link which will be provided below. Any regular student of Class x in academic session 2018 – 2019 can appear in this examination. He must have passed IX class securing at least 60% marks (Gen. Category) or 55% (SC/ST/CWSN) in 2017-18 from any recognized School in HP. Attach the attested copy of marks sheet of Class IX. Student who has registered under Open Distance Learning Programme are also eligible provided he/she is below 18 years age and is not employed. The Question Paper of National Talent Search Examination 2018 will be available here when it will be released. 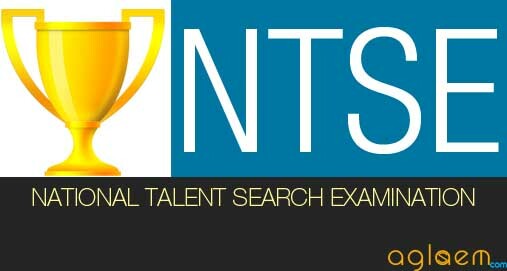 As National Talent Search Examination announced the NTSE 2018 Question Paper it will be updated soon. Click Here to check the final answer key for Maharashtra NTSE SAT 2017. Click Here to check the final answer key for Maharashtra NTSE MAT 2017. Click Here to check notice regarding Answer Key. The Maharashtra NTSE First Stage Result 2016 has been announced the exam authorities. The candidates can check the result by using the direct link provided below. Maharashtra NTSE First Stage Result 2016 – 2017 – Click here to check NTSE Result by entering Seat No. and School Code. NTSE 2016-17 stage I Final answer key is prepared by the exam conducting body. Official answer key of SAT and MAT have been updated for Maharashtra NTSE 2016 – 2017. NTSE 1st level exam for class 10th was held on 06 Nov 2016. Candidates can check the official answer key below. To check official Final answer keys in pdf Format, Click here. 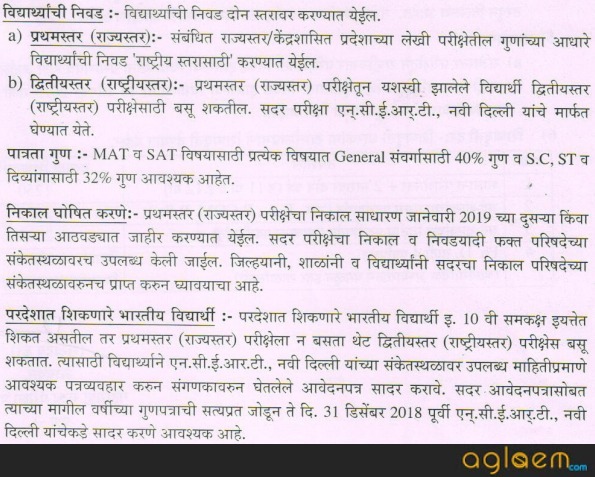 For more detail of Maharashtra NTSE 2018-2019 – Download Official Notification.